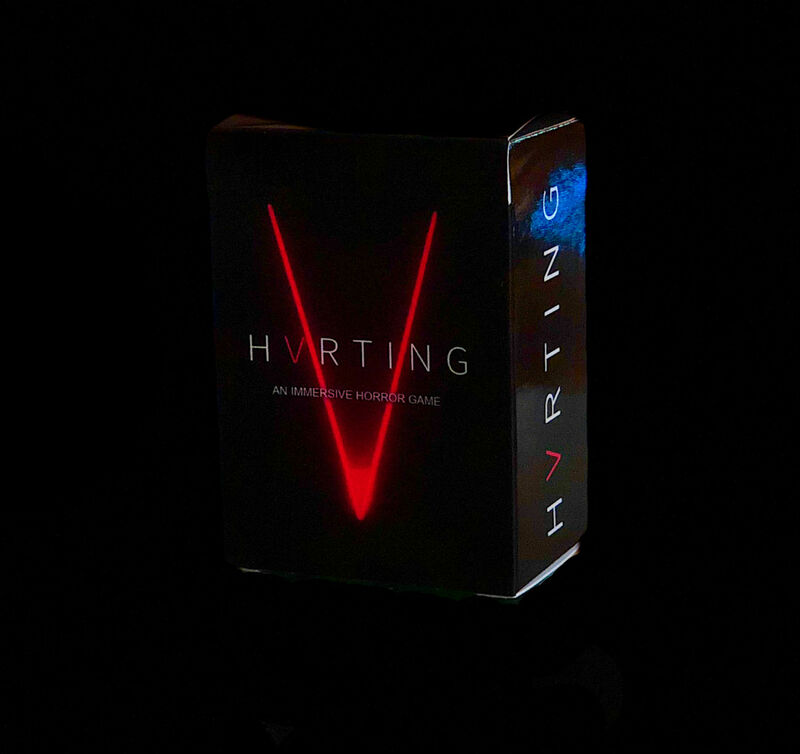 HVRTING: The Extreme Haunt Card Game offers guests the opportunity to experience an immersive horror experience from the comfort of their own home. Two to eight friends can get together, gather items that most normal haunt-goers should already have, and customize the deck to their level of intensity–and then the fun begins. Your friends are now your enemies, and you must strategically work to obtain four resource cards by earning them, stealing them, or bartering for them–and escape. 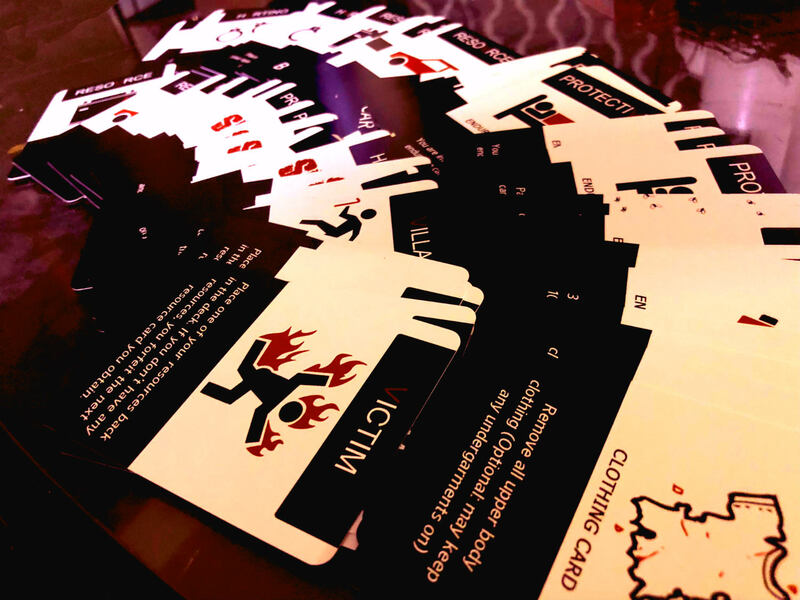 But while you are gathering the resource cards, The Director has placed a series of restraint, endurance, and torture cards among them to make you hurt. 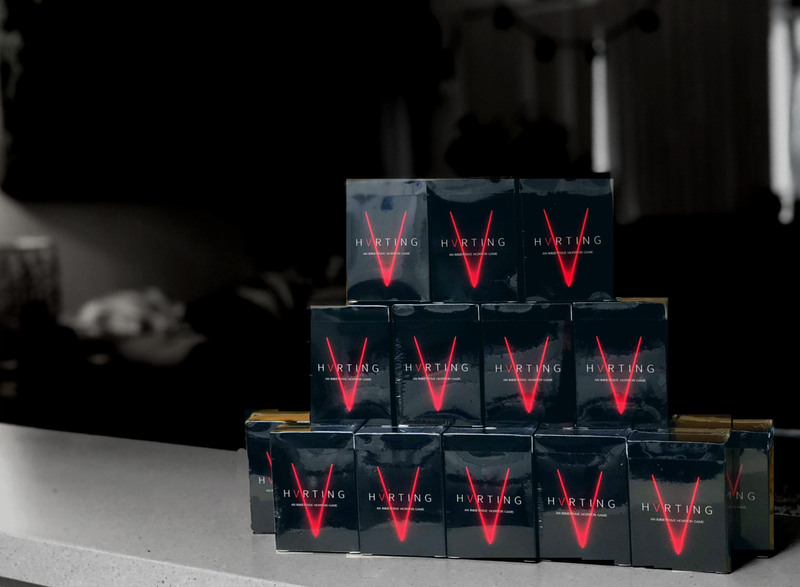 VRTING: The Extreme Haunt Card Game offers guests the opportunity to experience an immersive horror event in the comfort of their own home. Two to eight friends can get together, gather items that most normal haunt-goers should already have, customize the deck to their level of intensity–and then the fun begins. Your friends are now your enemies, you must strategically work to obtain four resource cards by earning them, stealing them, or bartering for them–in order to escape. But while you are gathering the resource cards, The Director has placed a series of restraint, endurance, and torture cards in the deck to make you hurt.